Do you think you can turn this logline from Don Murphy, Producer of the live-action Transformer movie franchise and Natural Born Killers into a killer script? Step 2. 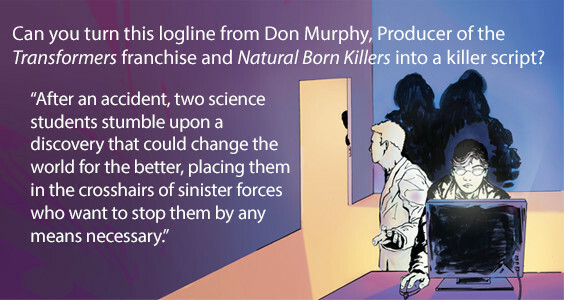 Write up to the first 15 pages of an original script based on logline, provided by producer Don Murphy. Make it your own and take your time—once you’ve submitted your entry fee, your 15 pages aren’t due until the final deadline. With over 4,000 listings for Industry insiders such as studios, production companies, and independent financiers.